Peter studied the guitar and string bass as a teenager, and later attended Berklee School of Music. He received his Bachelors degree from SUNY Oneonta, and a Masters degree from Manhattan School of Music. One of his greatest mentors was Homer Mensch, principal bassist of the NY Philharmonic, with whom Peter studied for six years. Peter became an established bassist on the New York Jazz scene. Venues include Birdland, Tavern on the Green, The Village Vanguard, a six year engagement at the Blue Note for Saturday brunch, and many live radio broadcasts from the West End Cafe. He also performed with the Bronx Symphony, the Greenwich Village Symphony, Ain’t Misbehavin’, and Phantom of the Opera on Broadway. From 1986-1996 Peter was a member of the Etta Jones/Houston Person Quintet. He toured internationally and recorded on over 40 CDs, including his own, Bass Hits, on the Savant record label. The group was like a family, the music swinging and passionate, performing at premier jazz festivals and concerts. His 35 years of performance credits include playing with Nat Adderly, Ray Bryant, Randy Brecker, Frank Wess, Winard Harper, Michael Carvin, Lew Soloff, Claudio Roditi, Donald Harrison, Hank Crawford, Richard Wyands, Gloria Lynn, Grady Tate, Kenny Washington, Melvin Sparks, Lorez Alexandria, and Della Griffin. Peter met pianist Jane Hastay in San Francisco while on tour and soon after they were married. The couple produced a CD entitled Never Never Land, named after a song that encourages us to follow our dreams. Peter and Jane have a brand new CD with saxophonist Richie Scollo entitled “The Good Life.” Click here to purchase it. As an educator, Peter taught at the State University of NY at New Paltz on the jazz faculty. 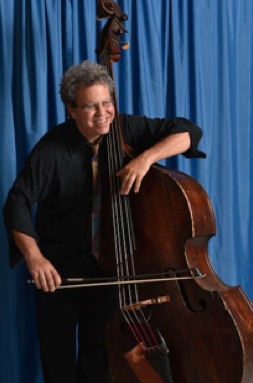 Now living in East Hampton, he currently teaches private guitar and bass lessons, sings with the Choral Society of the Hamptons and performs locally on bass and guitar.